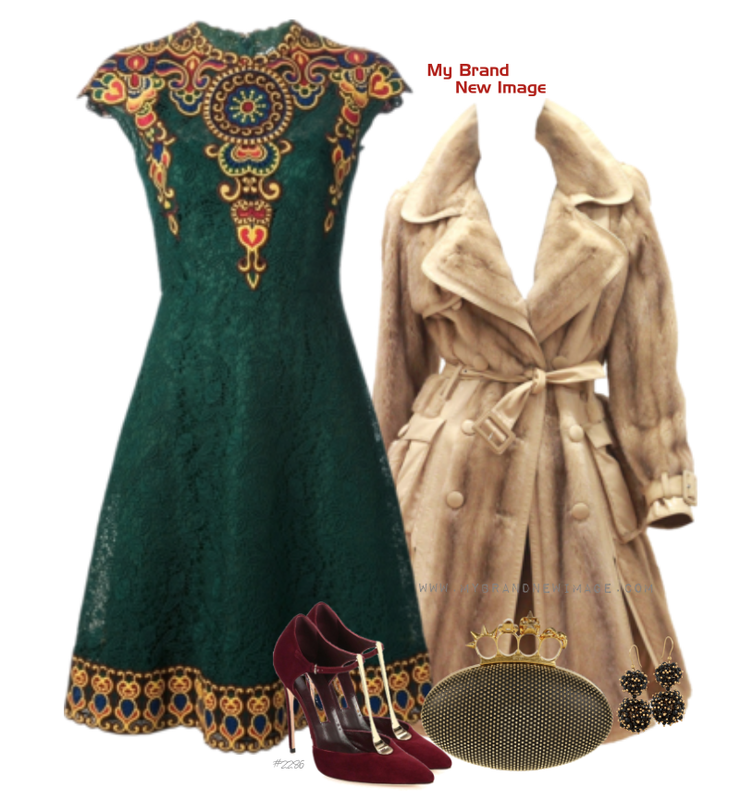 I love the embroidery on this green floral lace dress. It’s so unique and festive and gives it an ethnic flair. It’s perfect to make a statement at your Holiday get-together. Pair it with a mink fur trench coat, a pair of metal t-strap pumps and a studded knuckle-box clutch for a knock-out look.